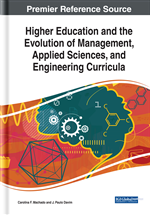 This chapter studies the challenges that higher education institutions (HEIs) in Latin America face for the implementation of information systems (IS), highlighting specific characteristics of the region compared with other parts of the world. The study evidences distinctives of universities in comparison with other type of industries that need to be considered for the implementation of IS. Critical success factors and barriers for IS implementation projects are also recognized through a compilation of the experience of experts who have participated in projects in 14 countries in the region. It is intended that this work research will serve as a reference for institutions that are seeking the implementation of IS, and that it will also serve as guide for interested stakeholders—academics, researchers, administrators, and managers—to start such projects and ensure the understanding of the conditions required that will help them succeed. According to the Inter-American Development Bank (Cavallo & Powell, 2018), growth for the world economy in 2018 is set to be 3.9%, a level not seen since 2011, and highly synchronized across countries. In the case of the United States, growth is expected to be 2.7% for 2018. Latin America and the Caribbean is expected to grow at just 1.9% in 2018, but this regional growth figures are lower given the ongoing crisis in Venezuela where growth is projected at -15%. Excluding Venezuela, regional growth is expected to be 2.5% in 2018. Nine countries are expected to grow at more than 3.5%, including the Dominican Republic, Nicaragua, Panama, and Peru that are expected to grow at 4% or higher. Latin America is considered as the “continent of hope” because of its great growth potential, but also known as an emerging and changing region. Higher education in the region has expanded dramatically in the last 15 years as the average gross enrolment rate (defined as the ratio between higher education enrolment and the population ages 18–24 years) has grown from 21 percent to 43 percent between 2000 and 2013. Currently, the system includes approximately 20 million students, 10,000 institutions, and 60,000 programs (Ferreyra et al., 2017), and is expected that this growth continues in the coming years. Latin America is preparing to leap into the global marketplace, and technology may be the catalyst to help underdeveloped countries in the region move forward. Nevertheless, lags in technology adoption may also relate to various obstacles and barriers in the penetration and diffusion of new technologies. Possible factors behind this technological gap include the capacity of Latin American entrepreneurs to identify, assimilate, and put in place new technologies, the skill level of the workforce to make those technological changes feasible, as well as institutional, cultural, and other political barriers. Overall, these factors likely contribute to a relatively slow pace of technology adoption and diffusion in Latin America (Busso et al., 2017). Following the example of large corporations, HEIs are continuously reviewing and improving their management and administration systems. The concerns HEIs face are similar to those of a wide range of organizations (Rabaa’i, 2009). Without any doubt HEIs are involved in the current technology trends (cloud computing, mobile technologies, e-learning, big data, artificial intelligence, virtual and augmented reality, machine learning, among others), but adapting and implementing these technologies represent a challenge. Internet connectivity continues to be a problem in most of Latin America and most people turn to mobile technology as a faster, more accessible and less expensive alternative. Higher education systems have a vital contribution in terms of access to society of information. To move towards a knowledge society, the countries of Latin America must massify their education systems, strengthen their scientific capacities and technologies and make better relations with society (UNESCO, 2014). Higher education in Latin America remains relatively under-researched (Berry & Taylor, 2014). This chapter book aims to identify the challenges that HEIs in Latin American face for the implementation of Information Systems (IS). It is intended that this work research will serve as a reference for institutions that are seeking the implementation of IS, and that it will also serve as guide for interested stakeholders -academics, researchers, administrators and managers - to start such projects and ensure the understanding of the conditions required that will help them succeed. The outline of this study is as follows: in the first section an introduction is presented. In the second section a background of Higher Education, Technology and IS in Latin American are included. Third section explains with detail the research methodology used for this investigation. Fourth section presents results of interviews with experts and discussion challenges that HEIs in Latin American face for the implementation of IS, highlighting specific characteristics of the region compared with other parts of the world. Critical success factors and barriers for IS implementation projects are also recognized through a compilation of the experience of experts who have participated in projects in 14 countries in the region with real experiences in Latin American universities. Finally, the chapter presents future research directions and conclusions of the study. Higher Education Institutions (HEIs): Universities, colleges, and further education institutions offering and delivering higher education. Include traditional universities and professional-oriented institutions, which are called universities of applied sciences or polytechnics. An educational institution in any state that admits as regular students only persons having a certificate of graduation from a school providing secondary education and is legally authorized within such state to provide a program of education beyond secondary education; provides an educational program for which the institution awards a bachelor’s degree, or awards a degree that is acceptable for admission to a graduate or professional degree program, subject to review and approval by the Secretary; and is a public or other non-profit accredited institution. Expert: A person who is an authority in a particular area or topic, with special knowledge or skills in a particular area of endeavor. A person who is perceived to be knowledgeable in an area or topic due to his or her study, training, or experience in the subject matter. Critical Success Factors (CSF): The few key areas of activity in which favorable results are absolutely necessary for a particular project to reach his goals. Management Information Systems: Information systems that are facilitating management at all levels. Information Systems (IS): The processes of managing (creating, using, storing, exchanging, etc.) information in an organizational setting (in work activities) for a purpose. An information system consists of people (actors), information (contents) and technology (means), linked together by a process directed towards a purpose. Information systems are mediated by various information technologies. An information system is not always a “system” (a systemic entity) but can consist of bits and pieces of processes and technology subsumed in a systemic work activity. Information system is a socio-technical entity that has both human and technological aspects. IS Barriers: Inhibitor factors exacerbating the effective and efficient implementation of IS. Information technology (IT): Is the application of computers to store, retrieve, transmit, and manipulate data, or information, often in the context of a business or other enterprise. IT is considered to be a subset of information and communications technology (ICT).